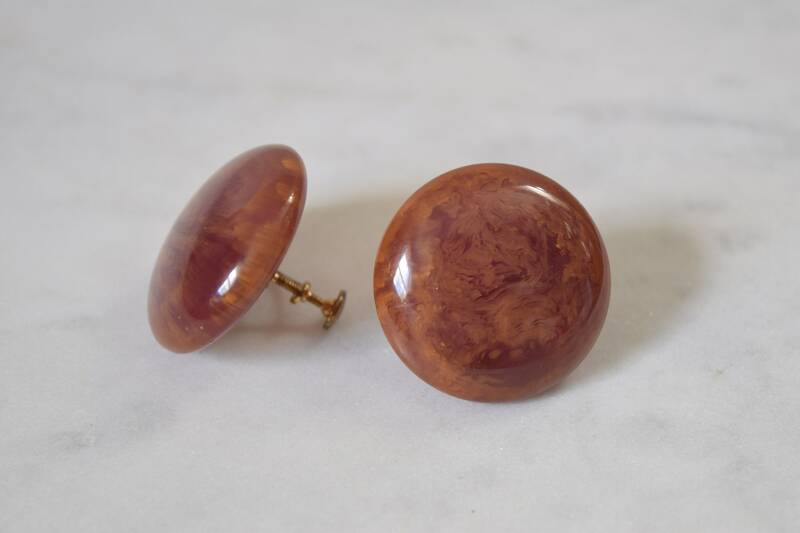 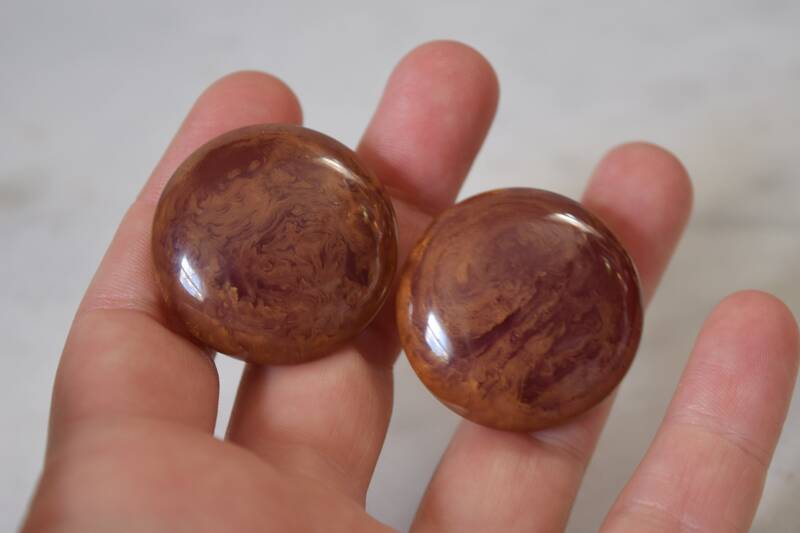 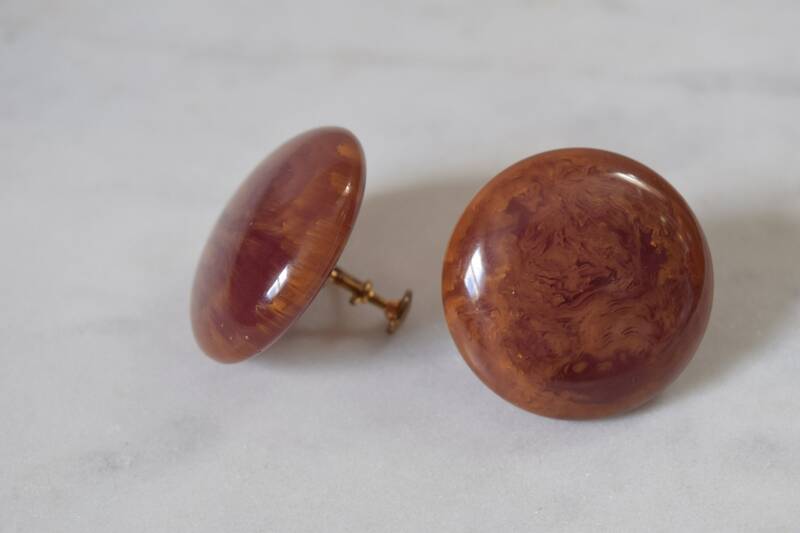 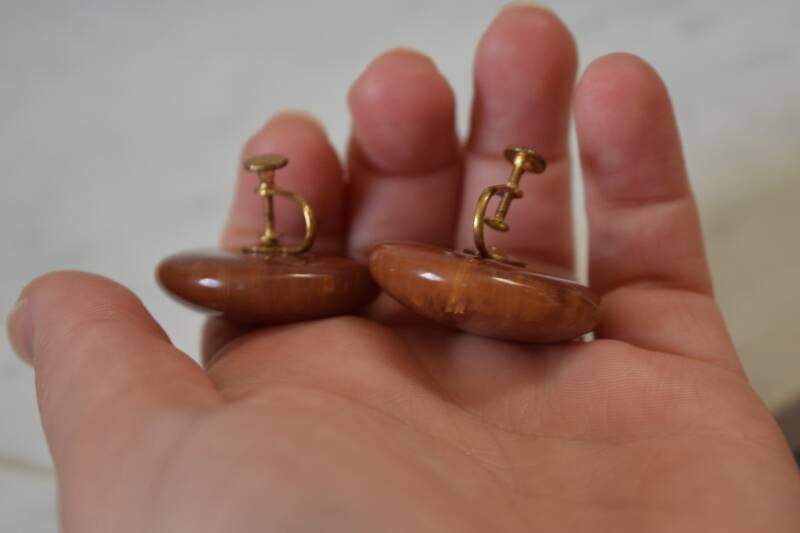 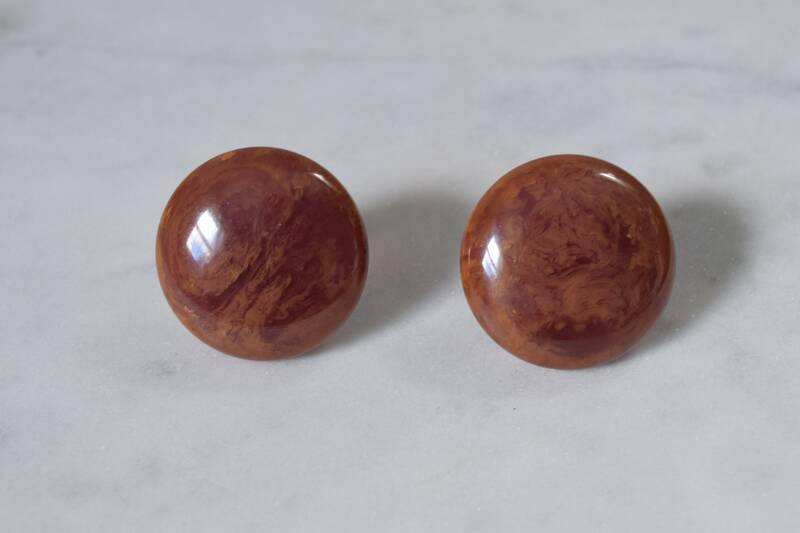 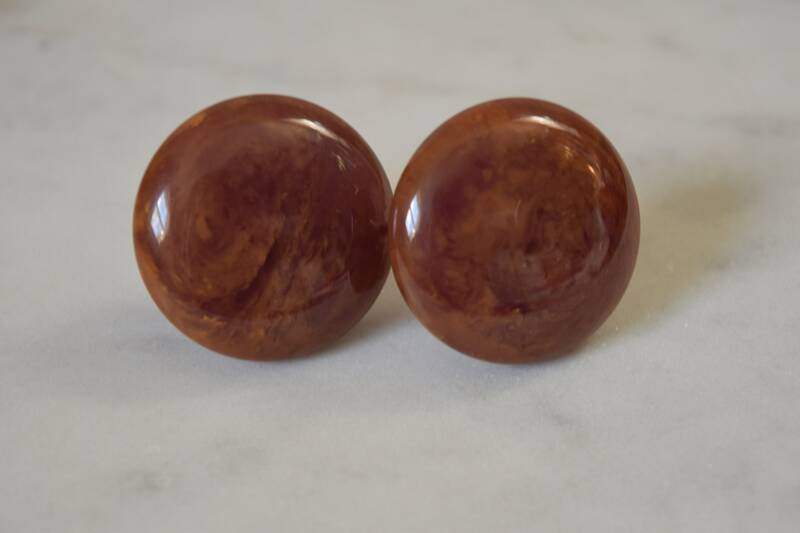 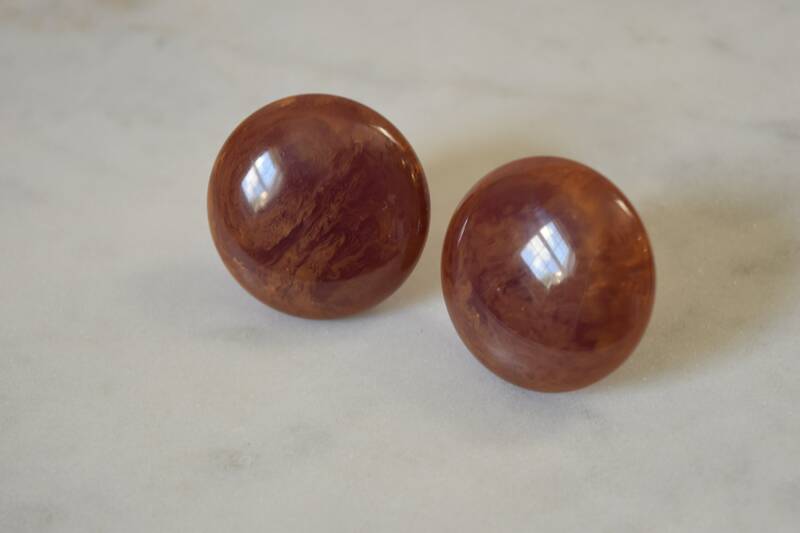 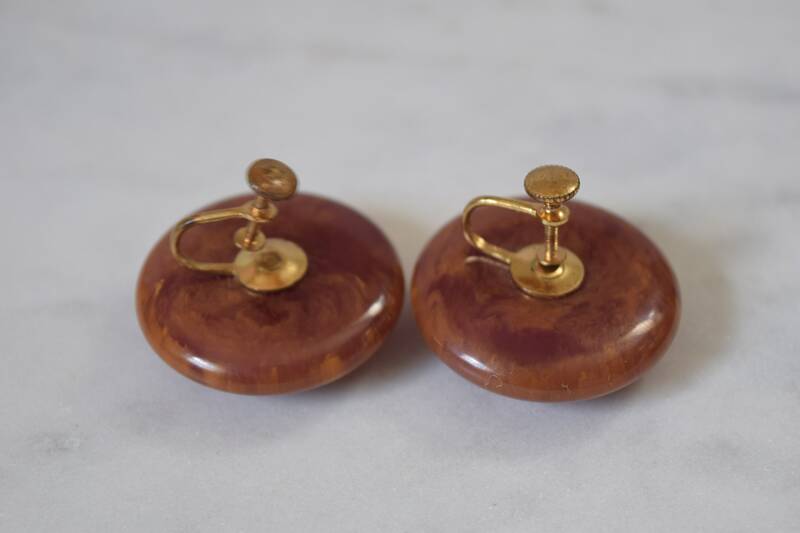 A rare and beautiful color, these semi-translucent purple Bakelite earrings are now almost brown in color from oxidation. 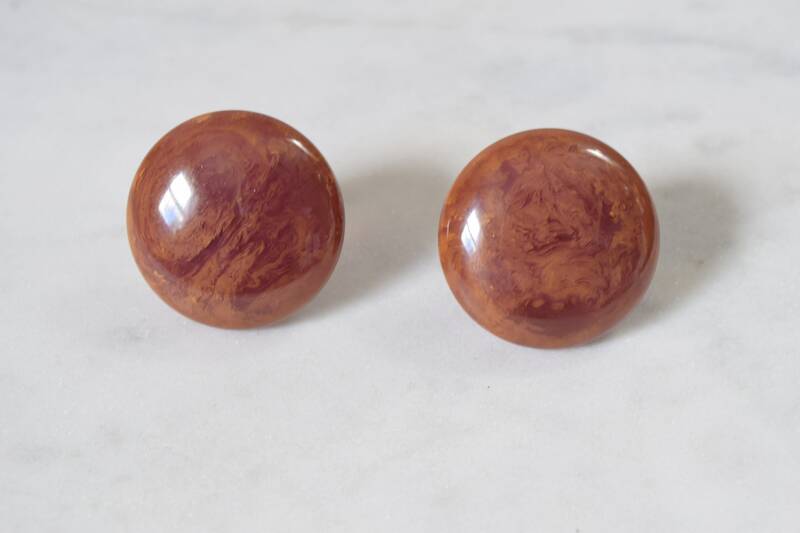 They're subtle, yet beautiful and perfect for mauve or deep plums and accenting purple hues. 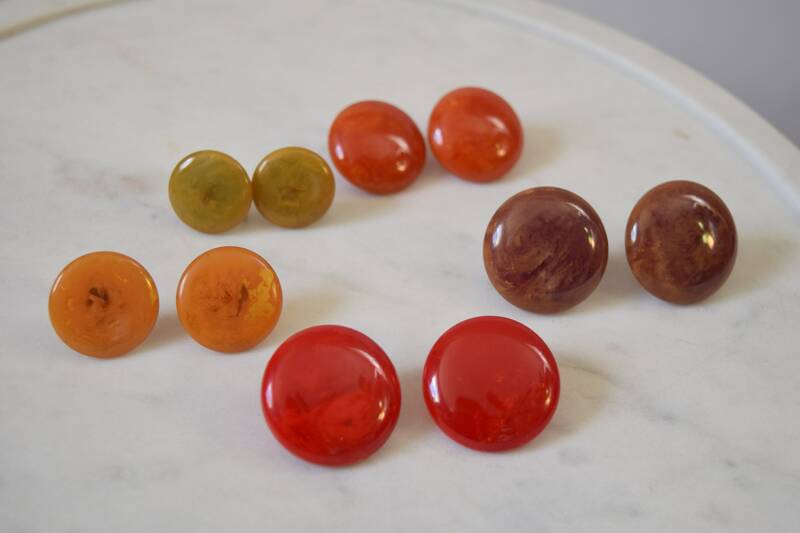 Please know colors can vary with the device and screen you're viewing it on.